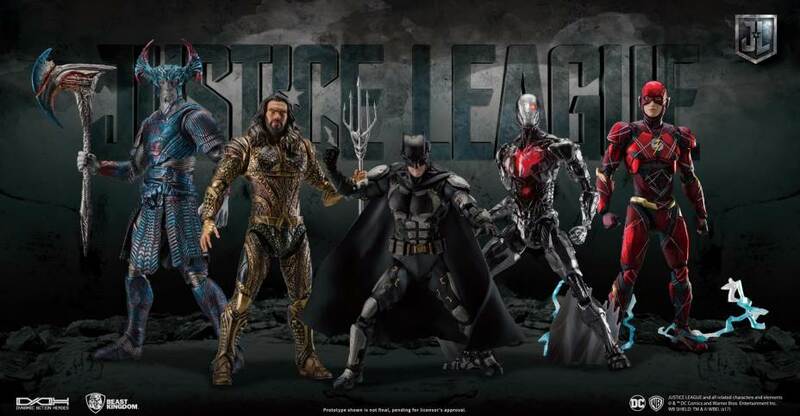 Beast Kingdom has released photos & info for their newest Dynamic 8ction Heroes (DAH) Justice League Figures. The latest assortment includes Batman, Wonder Woman, and Superman. We last saw the trio at San Diego Comic-Con 2018, along with multiple other DC figures. These are 1/9 scale action that stand about 8″ tall, depending on the character. they have over 24 points of articulation and include multiple interchangeable parts and themed accessories. Pricing was not revealed at this time. However, the DAH figures typically run in the $65 – $70 range. These figures are due for release in the first quarter of 2019. For further details and some new photos, click the headline of the story. At San Diego Comic-Con 2018, new additions to the Dynamic 8ction Heroes line were revealed by Beast Kingdom. 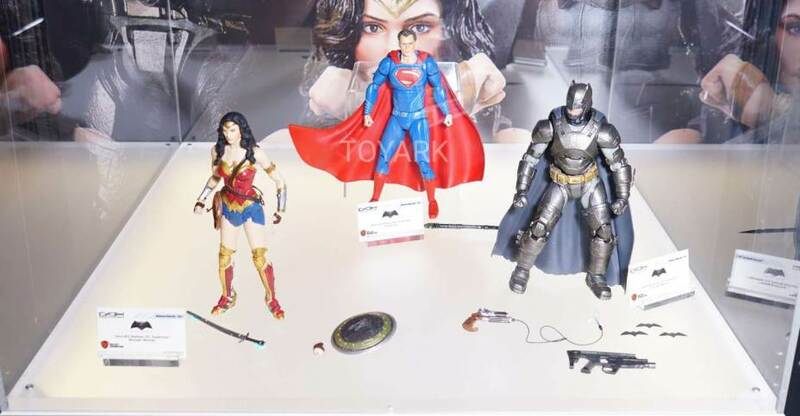 These include new DC Movie figures, as well as the first Disney figures to join the line up. Check them out after the jump. Yesterday, we shared news on multiple San Diego Comic-Con 2018 Exclusives coming from Beast Kingdom. 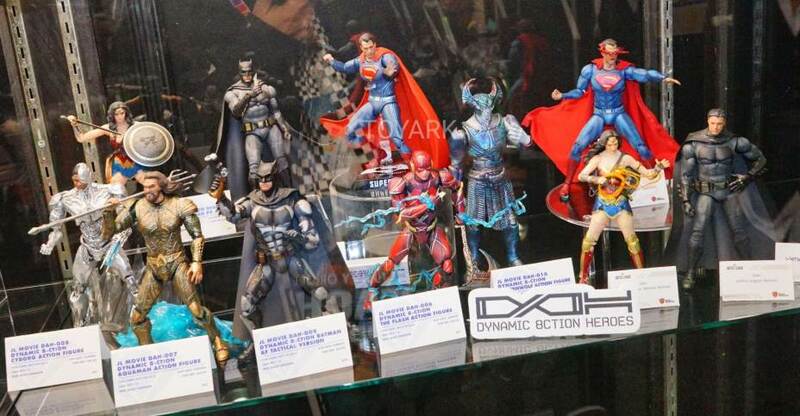 The exclusives were all recolors of their DC Movie Dynamic 8ction Heroes (DAH) Figures. 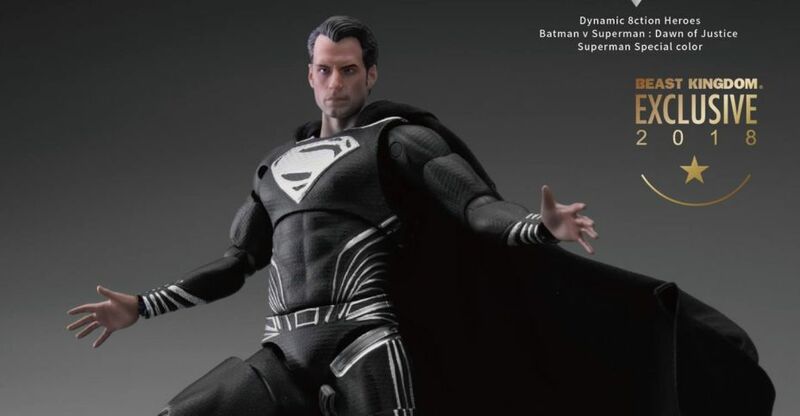 In addition to the figures fully revealed, they have released details on the black suit Justice League Superman figure. The 1/9 scale figure stands a little over 7″ tall, includes a cloth cape, interchangeable hands, and a figure stand. Check out the official details below and see the photos after the jump. DAH-0013SP Justice League Superman Special Color. Body with up to 24 points of articulations. Beast Kingdom’s Dynamic 8ction Heroes (D.A.H.) series: In tribute to the classic DC comics, based on the 1992 story, Death of Superman, the Beast Kingdom’s D.A.H. series brings you the resurrection of the “Last Son of Krypton”- Superman. 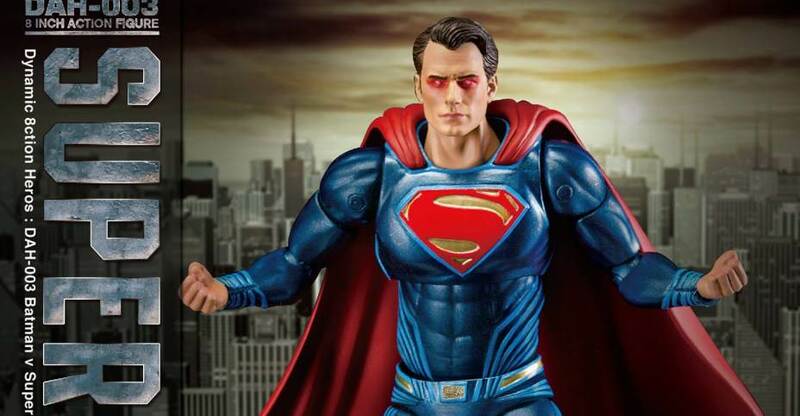 The figure completely retains the character’s looks and the outfit’s intricate designs from the movie “Justice League”, with special care on the wrists, boots and the “S” emblem on the chest, using silver paint to recreate the Superman that went “dark”, after his resurrection in the comics. With delicate carvings, combined with professional 3D-animated modeling techniques, as well as a body with multiple points of articulations, the figure faithfully embodies the character’s spirit as seen in the movies, reproducing the classics with modern designs. A few new San Diego Comic-Con 2018 Exclusives have been revealed by Beast Kingdom. 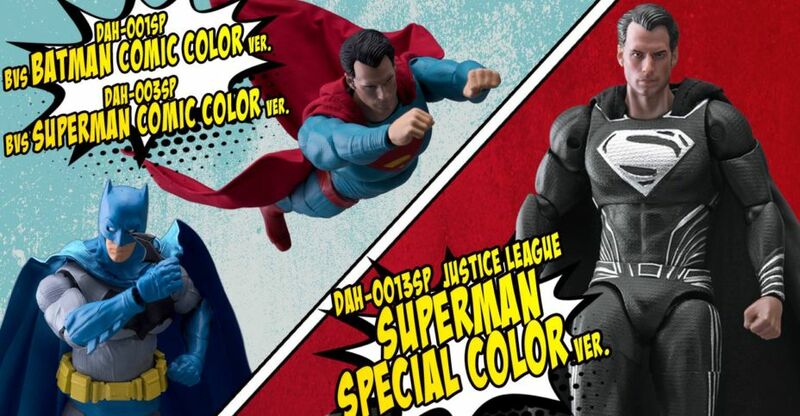 They are taking their Batman and Superman Dynamic 8ction Heroes (DAH) Figures, and repainting them into comic book color versions. They will also be releasing a black suit version of Superman (details to be released for that soon). For those that haven’t followed the line, their DAH Figures are 1/9 scale (8″ tall) fully articulated action figures. They’ve previously released figures from both Batman v Superman, as well as Justice League. For the SDCC 2018 Exclusive versions, they have repainted Batman, Superman and Wonder Woman into their comic book color schemes. Batman features his iconic blue and gray costume, while Superman sports his more iconic classic blue and red costume (complete with red trunks). Wonder Woman is also gettign the comic inspired treatment, which even includes stars on her costume. 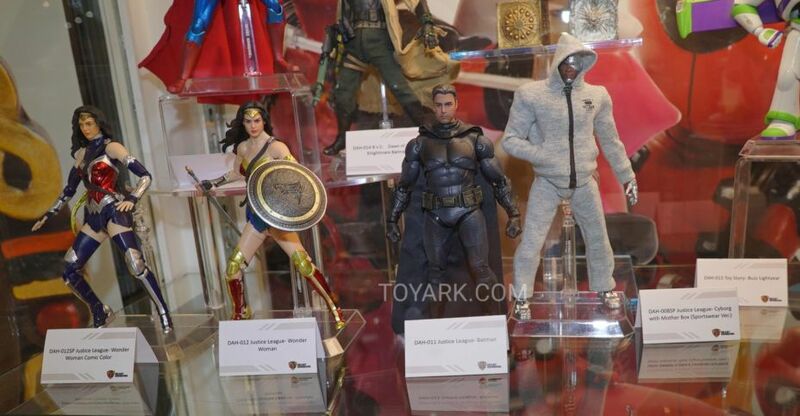 In addition to that, they will have a Man of Steel style black suit Superman as an exclusive as well. Details on that figure are not available at this time. Read on to see the details and photos that have been released. At Toy Fair 2018, Beast Kingdom had some of their upcoming Egg Attack figures from Star Wars and Marvel on display. They had their Justice League and Batman v Superman Dynamic 8ction Heroes and some assorted statues on display as well. The figure include weapons, interchangeable hands and more. They should be released in May 2018. Read on for photos and more details on each figure. A new line of action figures has been launched by Beast Kingdom, best know for their Egg Attack stylized figures and statues. The new Dynamic 8ction Heroes (DAH) Series will feature articulated 1/9 scale (8″ tall) figures with over 30 points of articulation, high quality painting, accessories and more. Their initial offerings feature the main cast of Batman v Superman: Dawn of Justice. The figures are due out in the third quarter of 2017. They will be priced at a pretty reasonable $1,490 Taiwan New Dollars (about $49 USD). For more details and plenty of photos, read on.